The cost of basic IVF in India is very reasonable which is around USD 5,000 for one cycle, however, this is an estimated cost and the actual cost will be confirmed after your medical examination by your fertility expert. The treatment of In Vitro fertilization is now available at reasonable price in India; if the cost of IVF treatment is compared to western countries we have a low price of the treatment. You will be glad to know that most of the couples select India for IVF treatments. The modern technology and the latest equipment are used during the treatment. Use of PGD and the embryoscope for the treatment of infertility. We respect the patient privacy and the comfort. The patient will get the treatment from the best IVF specialist. The whole medical staff is English speaking and the patient can communicate with them easily. Flight to flight services, the facility in which the pickup and the drop at the airport this facility are specially designed for the patient’s comfort. The IVF with Egg Donor Cost is very reasonable and can be easily afforded by each individual whosoever is looking to an own baby. The cost of egg donor by using the fresh donor cycle ranges between USD 25,000 to USD 30,000 which also includes the compensation of the egg donor and the cost of the one IVF cycle. If you compare the IVF with Egg donor cost in India with other developed countries like the US, the UK and Australia then you will find a huge difference in costs. 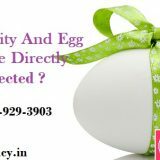 The self-egg IVF cost in India is also very reasonable with fresh eggs which are range between USD 15,000 to USD 18,000 including all other expenses such as initial consultation, blood tests, ultrasound, fees for fertility expert, hormonal drugs, embryologist and IVF/ICSI lab charges, etc. and if you compared this self-egg IVF cost with other developed countries they will charge you huge amount for self-egg IVF and also for other expenses you need to pay from your pocket. Due to this reasonable self-egg IVF cost, people from other developed countries prefer India. IVF With Surrogate Mother Cost using a gestational surrogate is around USD 40,000 including all other expenses of surrogates such as clothing, food, accommodation etc. also the compensation to these surrogates will be paid monthly so that the surrogates will take their proper care. However, if you wish to use the traditional surrogate then the IVF With Surrogate Mother Cost is around USD 35,000. The only difference in both the procedures is that with gestational you will have your own genetic baby while with traditional the surrogate is the biological mother of a newborn. IVF cost is very reasonable in India which is around USD 5,000 for one cycle. On an average, the IVF cycle cost using fresh eggs will cost you around USD 12,000, before medications, for which you have to pay another USD 3,000 to USD 5,000 depending on your medical condition. Your fertility expert will harvest your eggs in the fresh cycle and then they will closely be monitored the period of ovulation-inducing medications and after that, they mix your eggs with fresh sperm.The entire procedure is very reasonable. 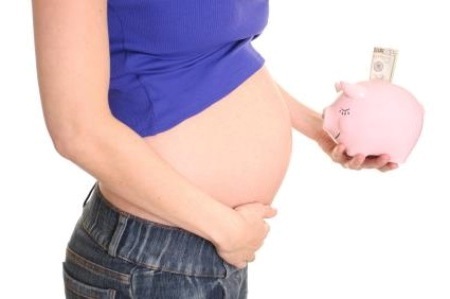 The advanced cost of IVF depends on the procedure you choose for your infertility treatment. For e.g. if you wish to go for the IVF with surrogacy or IVF with egg donor then it will increase your basic IVF Cost which can go up to USD 40,000. This is an estimated cost of the advanced IVF procedure and the actual cost will be confirmed once your fertility expert will examine you. 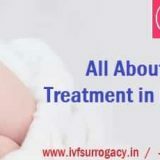 If you wish to have all the details about our IVF package then you may call us on +91 989-929-3903 or you can write an email Info@IVFSurrogacy.in or can chat with us to know all our IVF packages which will help you to manage your visits and your financial situation accordingly. How long does it take to achieve pregnancy? According to study, after IVF somewhere around 30% of the couples are able to achieve the pregnancy at the end of the first month, around 45% will conceive within 6 months and between 70 to 80% of the couples will have conceived at the end of a year and all depend on the age of the couples. We are the one who takes the proper care of the patient while collecting the eggs from the women ovaries by using ultrasound, however, it is not possible to get a detailed image of the patient’s bowel, small blood vessels and the bladder. In very rare case it can happen that the advancing needle may inadvertently hit one of these structures as it enters the ovary. What differentiates your Clinic from other Clinics? Our clinic is the leading clinic with highest success rates of taking the baby home without compromising the quality of the treatment. We offer the same international standard quality of the treatment but at the very reasonable cost which no one can imagine. Also, we have highly skilled and experienced fertility experts who had to deliver more than 3000 IVF babies in a year. The pregnancy test will be performed after two weeks of the embryo transfer into your uterus and if the pregnancy test is positive then it works as normal and your fertility expert will advise you to avoid hard exercises such as gym, swimming, aerobics etc. If the results are not positive then you can repeat your IVF cycle to achieve the successful results of the pregnancy.